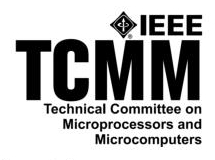 Workshop and Special Session proposals are invited for IEEE MCSoC 2018 on specific aspects of Embedded Multicore/Manycore Systems Programming, Architectures, Design, Testing, evaluation and other related topics. We encourage workshops and special sessions that will discuss fundamental research issues driven by academic interests or more applied industrial or commercial concerns. Their organizers will determine the format of the workshop.